Shredders are used to permanently destroy documents so they can’t be read. Shredders are particularly useful to have around if you run a business from home, or you want to make sure your personal information remains private. Join the fight against identity theft by using a shredder to destroy any piece paper that you don’t need if it has your name, address or phone number, your national insurance number or your bank details on it. A shredder will come in handy if you have any old utility bills or bank statements, or pay slips that are more than a year old cluttering up your home. When you have important documents that contain personal or private information it can be time consuming ensuring that they're properly disposed of, in order to prevent them from falling into the wrong hands. A shredder will make light work of the task and ensure no one can steal your information. 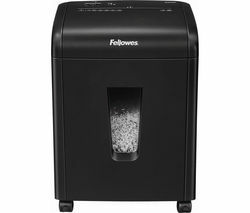 If you’re looking for a reliable shredder, see our Fellowes shredder collection. 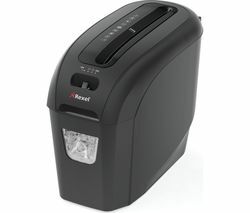 And for an extra level of security, take a look at the Rexel Style cross cut paper shredder. A shredder is the ideal way to get peace of mind when you want to throw away documents that contain personal information.